Viberzi is prescribed for patients with IBS, or irritable bowel syndrome that is diarrhea predominant. Why are Viberzi Lawsuits Being Filed? On March 15, 2017, the FDA issued a Drug Safety Communication notifying the medical community about deaths and hospitalizations in patients taking Viberzi who had previously had their gallbladder removed. 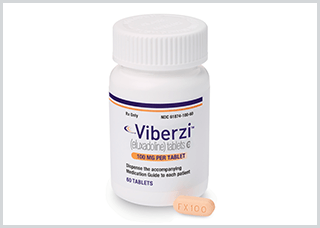 Viberzi lawsuits allege that the drug’s manufacturers failed to warn physicians of the risks associated with prescribing Viberzi to patients whose gallbladders have been removed. When the FDA issued its alert, it had received numerous reports of Viberzi patients suffering pancreatitis. Do I Have a Viberzi Case? If you or a loved one took Viberzi and suffered pancreatitis, the pharmaceutical attorneys at Riley & Jackson can assist you free of charge in determining whether you may have a Viberzi case.